The town's name has been subject to various interpretations and the most accepted is that it derives from the Latin word "longus" with the meaning of "long strip of land". 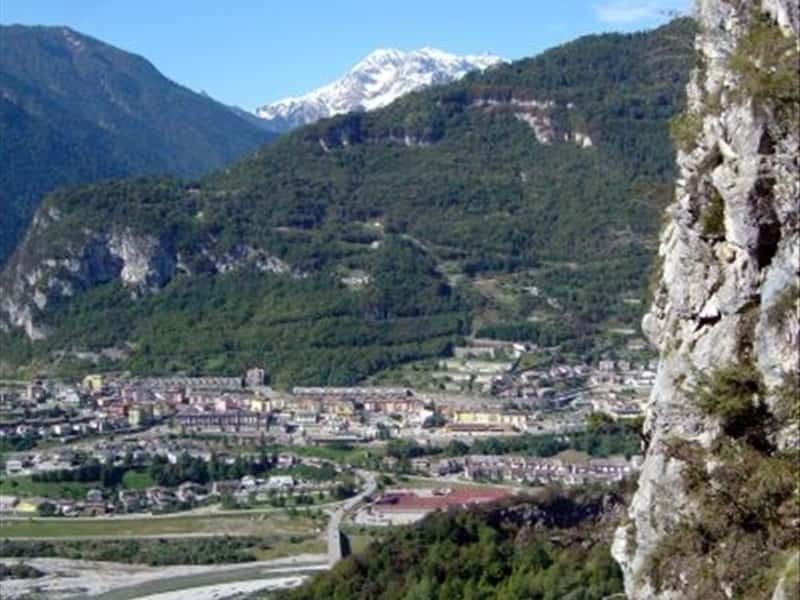 Municipality in the province of Belluno, located where the river Piave meets the stream Maè, the main centre borders with its provincial capital and its location offers an easy access to reach the Park of the Belluno Dolomites. The discovery of several artifacts dating back to Roman times, including the remains of a road, a cemetery and a tomsstone, testify, also with the town's name itself, the long period of Roman colonization during the Ages of the Empire. For a discrete period, Longarone shared the same fate and history of the nearby town of Castellavazzo. The present main centre was probably founded in the XIV century and was at first under the dominion of the Bishops, then granted in fief, over the following centuries to: Ezzelino of Romano, the Della Scala, the Da Carrara and the Visconti. From the XV century, the town was incorporated between the territories that belonged to the Serenissima Republic of Venice and enjoyed a period of economic prosperity and urban development (with the construction of several elegant buildings), thanks to the trade of timber. The town is also remembered for the disastrous landslide that, in October 1963, detached from Mount Toc and broke the margins of the nearby dam of Vajont, causing two huge waves that swept away Longarone and some of the nearby towns. - the Museum of Vajont. - the dam of Vajont. This town web page has been visited 21,560 times.